Stress is one of those things that tends to creep up on you. If you’re caring for a loved one, be it your Mum, Dad, spouse or other family member, you’ll be having to juggle a lot of commitments, and with that comes stress. You may not realize it at first, particularly if you’ve taken on the caring role as a natural response to wanting to help and support someone you love. But if you’re also working, caring for a family of your own, or have other commitments and responsibilities, stress can begin to creep in as you struggle to fit in everything you need to do each day. Sadly, the more of your time that you spend devoting to someone else, the less time you have for yourself. As the number of hours you put in to caring increases, the more of a toll it takes on you both physically and emotionally. It’s all too easy for you to neglect your own health and relationships, and if you burnout, your ability to provide support for your loved one also suffers. Having a break from that caring role isn’t a luxury, but rather an essential part of providing effective care. Respite care is a necessity. With a little research it is possible to arrange excellent quality care for your loved one, while also looking after yourself as a carer. Crucially, respite takes many forms and can be tailored to meet your individual circumstances. 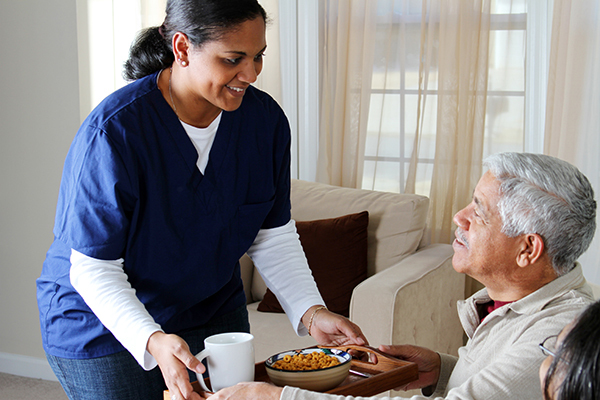 Respite care can be provided within your own home, or at a different location. It could be for any length of time, from a regular arrangement for just a couple of hours a week, to on a one-off basis for a week or two to allow you a much needed holiday. Sycamore Lodge is a residential and nursing care home in Ashby, Scunthorpe offering both full time and respite care. We pride ourselves on providing a friendly and welcoming atmosphere so to find out more about the services we offer, please give us a call on 01724 410129. Or you can always drop an email to Sara, the Home Manager, at sycamore@marjaracaregroup.co.uk We’d love to hear from you.